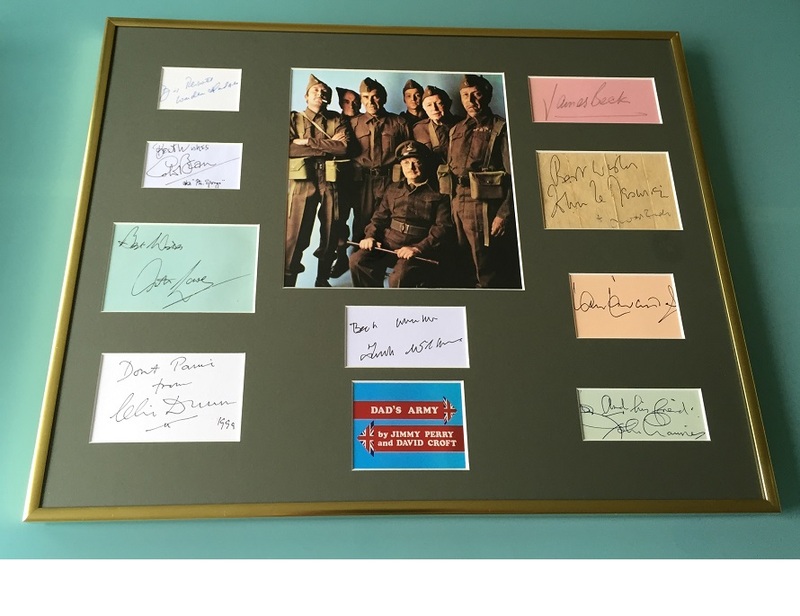 A stunning collection of rare Dads Army autographs from the original TV series. Many of these great actors are no longer with us, and the autographs are very hard to find. A full collection like this can take many years to put together. Includes professionally cut mount and stunning lightweight gold frame (with shipping safe plexi-glass), which is ready to hang. The display is approx 20" x 16", so it will not take up alot of wall space, but will be a real centre piece to any collection. Arthur Lowe (Capt. Mainwaring) - Adds "Best Wishes"
John Le Mesurier (Sgt. 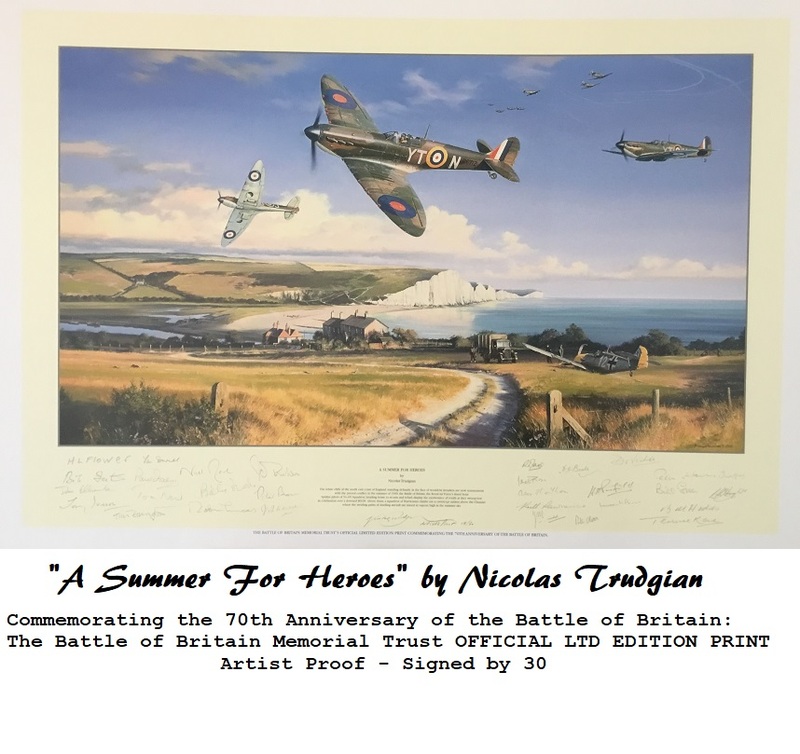 Wilson) Adds "Best Wishes"
Clive Dunn (Cpl. Jones) - Adds "Dont Panic" to his signature, date 1999. Arnold Ridley (Private Godfrey) - Signed on same page as Le Mesurier. Colin Bean (Private Sponge) - Adds "Best Wishes - Pvt Sponge"
Frank Williams (Vicar) - adds "Best Wishes"
Comes with our own Devon Autographs COA with 'lifetime authenticity guarantee' on the rear of the display.